Nobody seems to play good cop, bad cop anymore. It’s gotten to the point where it’s just bad cop, worse cop. 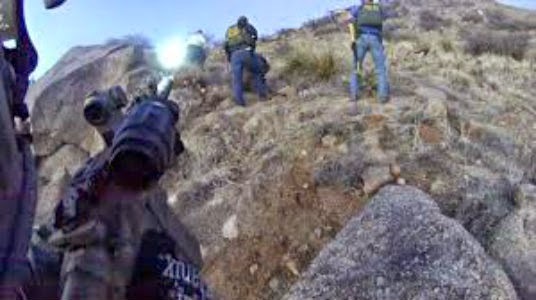 A homeless man camping in the Sandia Foothills in the outskirts of Albuquerque had the misfortune to become the subject of a standoff with the trigger-happy Albuquerque PD. The Daily Sheeple recently warned that the APD was being trained to use “more deadly force”, and it seems as though the officers have taken those lessons seriously. You may recall another victim of the APD who was shot at when he ran from police or the case of the Taos officer who opened fire on a minivan full of kids. And who can forget the multiple cavity searches (like this one or even this 8 probe incident) diligently undertaken by New Mexico’s finest?